So you have a baby shower, birthday party or gift-exchange in an hour? No problem. You still have time to make this crochet headband before then so you can waltz into the party like your life is just one big, thoughtful DIY-fest. 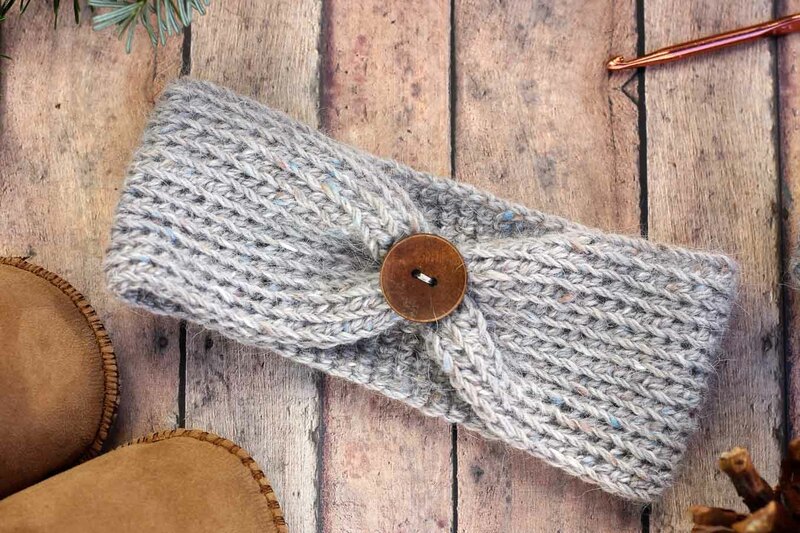 After I finished crocheting this headband, I looked at it and thought, “Man, I’d wear this.” And no, not as the calf-garter-belt it would be in the six month size, but I’d wear a full-fledged adult version of this thing. So, I’m providing instructions for newborn – adult sizes, in case you too want to match your baby billionaires. This crochet pattern is a bit unusual because I’m not giving you exact stitch counts. Since a snug-fitting headband is pretty dependent on the wearer’s head circumference, I’m providing instructions to customize the pattern based on the head size. 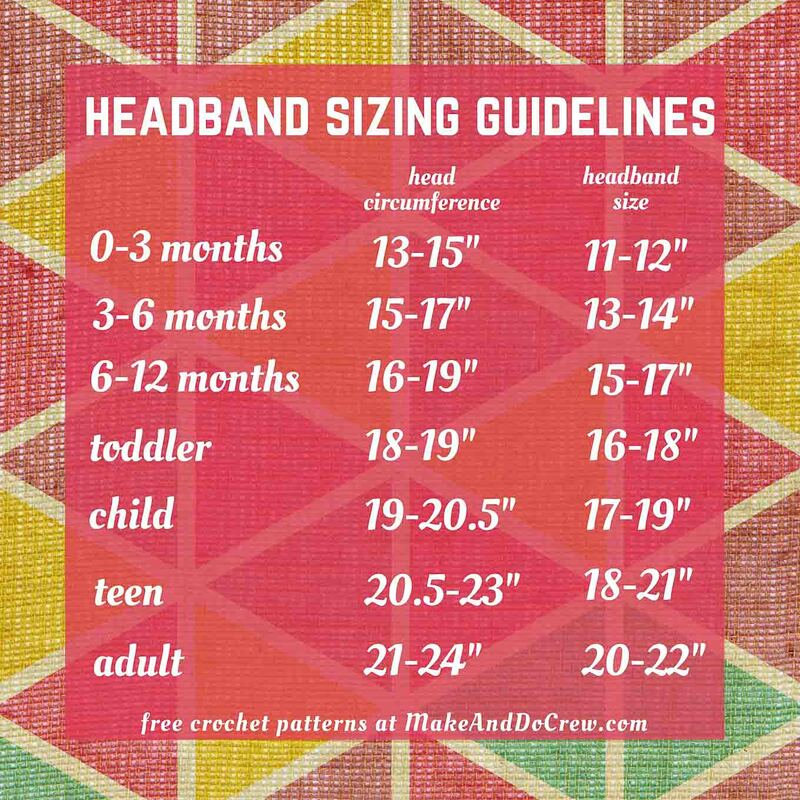 If you can’t get a head measurement because the headband is a gift or the recipient isn’t born yet, I put this headband sizing chart together as a guideline. Please note that you should still follow the pattern instructions to chain a bit shorter than the wearer’s head circumference. When you do that, you should end up with a headband in the recommended headband size. You may make items to sell with this pattern. In exchange, please link back to MakeAndDoCrew.com and refrain from using my photos as your sales photos. Now, let’s make something awesome! 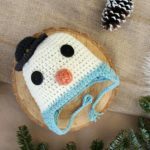 So you can spend more time crocheting and less time shopping, this post contains affiliate links at no extra cost to you. Thank you for supporting this little site of mine! • DK or worsted weight yarn (I used some 8-year-old stash yarn that I bought in Half Moon Bay on a whimsical pre-children weekend getaway. I’d guess it’s about a DK weight, but the label was lost about 9 moves ago.) Lion Brand Babysoft would work well. Notes: Lay your chain out flat, but not stretched to measure it. 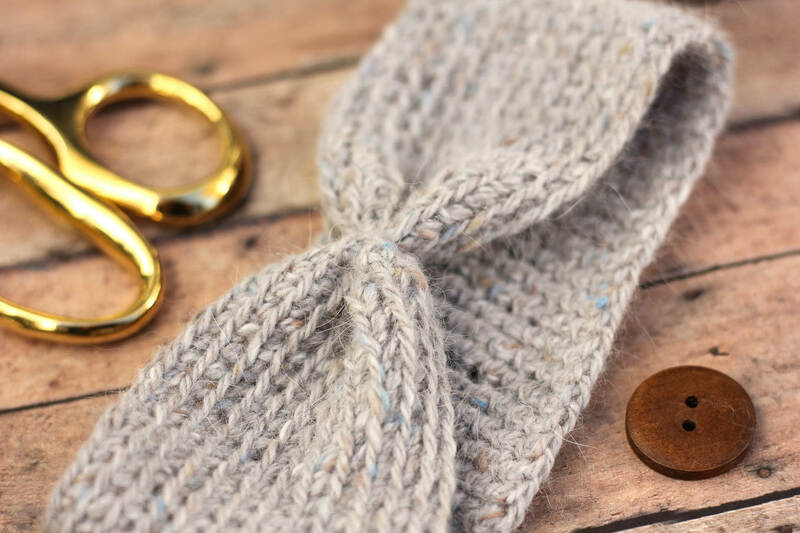 Once you start crocheting, the chain will tighten up a bit, resulting in a slightly smaller headband circumference. Fasten off, keeping a 8″ tail. At seam where rounds have connected, bunch headband as pictured (so two peaks form, sort of like an “M”). Wrap both tails around the bunched headband area a few times and tie off in the back. Sew button on top of scrunched portion of headband. Board your private, Aspen-bound jet assured that your ears will be warm for the journey ahead. I believe the best patterns are free patterns! Check out more of my free crochet and knitting patterns and subscribe below if you’d like to receive my once weekly update of subscriber exclusive patterns and templates. Absolutely adorable!! Great tutorial! Love!! Thank you for linking up at my craft party! I pinned your entries! Hope you can make it again on Thursday at 7pm EST.! Thanks so much, Denise! I’d love to link up at your party. Thanks for the reminder. Hey I am very confused. I don’t know appt about crocheting yet. I really love your headband and want to make a mother daughter set for myself and daughter but don’t understand your directions. Do you ever do video tutorials? Love this but what does blsc mean please? “blsc” means back loop single crochet. So when you’re beginning a stitch, instead of putting your hook through both loops of it, you simply put your hook through the back loop only. Other than that, it’s just like a regular old single crochet. Let me know if that’s not clear and I’ll find a resource to illustrate it for you. Thanks for reading M&DC and happy crocheting! Thank you so much! Making this for a baby girls first birthday gift! My pleasure, Dana! What a thoughtful gift! I’m sure she (and her mom 🙂 will love it! I have a quick question on the back loop stitch for this pattern. 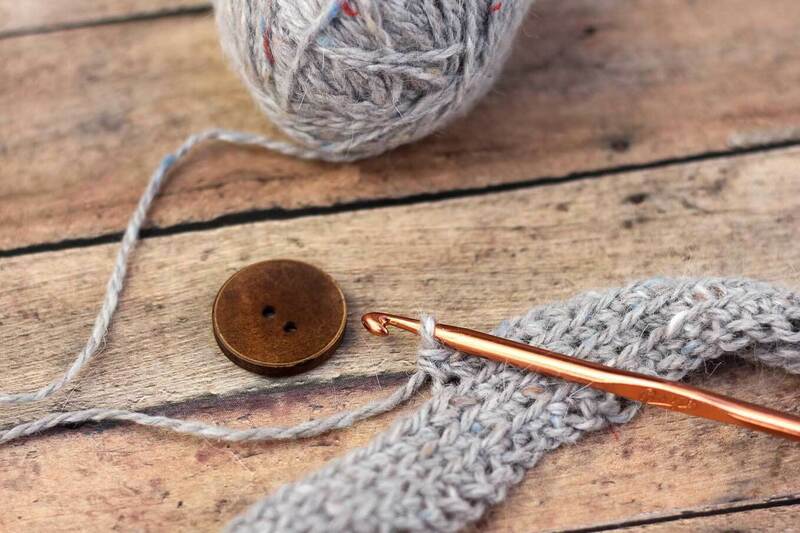 When you get to the end of the row, do you chain a single stitch down the new row, then continue with the back loop or should I be doing rows 2-11 of only back loop single crochet stitches? I’m not sure I understand your question, so please feel free to respond if this doesn’t answer it. For each row, you should join your last stitch of the row to the first stitch of that row with a sl st. Then you’ll chain 1, than you’ll proceed with the back loop crocheting. So at the beginning of each row, you should be chaining 1. Does that clear things up? Please let me know if not! 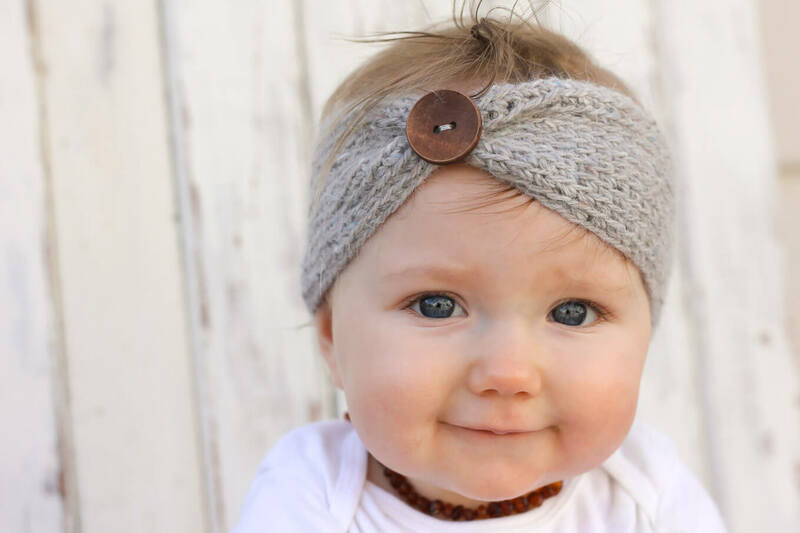 Jess, I think this pattern is very cute, I’m gonna make it for my baby girl but I had a question…does the headband size 11-12″ include the 8″ tail from the slip knot or is that separate? Nope, the 8″ is separate from the 11-12″. 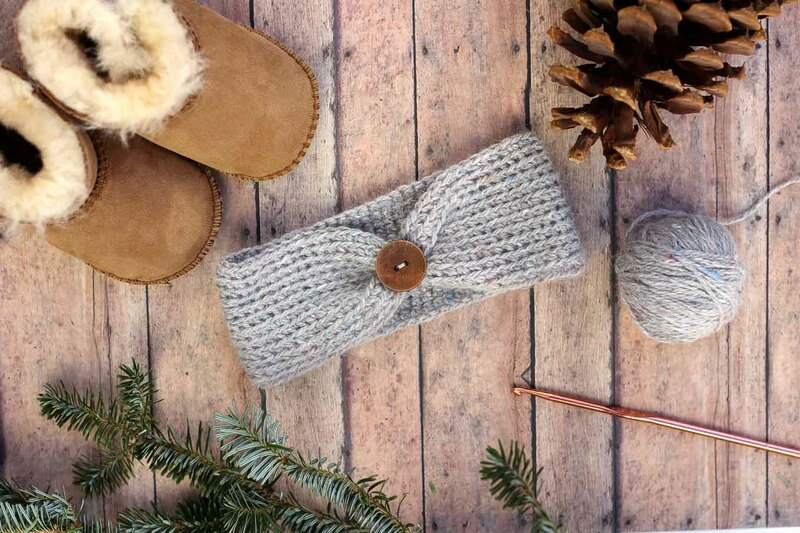 The 8″ is simply so you can wrap that extra yarn around the headband to scrunch it up under the button area. Does that make sense? Congrats on your new baby!! This is so cute. I make headbands for adults but had been asked to make one for a toddler and I’ll be having a go at this. Thank you so much, Kelly! This is the side of the internet that just bums me out. I can’t seem to find any sort of contact info on this site, but I’ll keep working on tracking them down. Thanks again for looking out for me! Love your headband! In trying to duplicate it for a friend, I’ve found that there is not much stretch or elasticity.. could I have done something wrong? I used Caron soft medium weight yarn, and a G hook. I am total beginner, so may have done something wrong!? It might have something to do with the yarn you’re using. I don’t think it has a TON of elasticity, but mine does have enough stretch to keep in on the head. You could play around with using a slightly bigger hook because that might make it a bit stretchier. If you’re not getting the result you’d like though, perhaps you could try a swatch of a different yarn and see if that helps. Please report back–I’d love to know what you find out! Daughter No 2 emailed me this headband, thinking it would be something really cute for a little girl. Now we find out that she’s expecting a little girl in January! I will be making a newborn and a 6-9 mos size. These will be ready for the baby shower after Thanksgiving. I have plenty of stash yarn to choose from, too. Thanks for posting it with the cutie-pie modeling it! Thanks for the information. Love your site and the patterns. My niece is expecting her first baby (a girl) in Dec for this year. matching headbands…Thanks again for the free pattern. Oh, Jude, that is going to be SO cute! I love that idea! Hi! I’m new to crochetingand have only done a few things. Do you have any visual examples of how you join the first round and start the next? I know, stupid question for all you experts! I’d be happy to help if I can, Tama. What part are you having trouble understanding? Thank u so much for this headband instruction which I have been looking for. I always have to make my hats etc. because my head circumference is smaller than (one size fits most). Thanks again! Thanks so much for letting me know. Booo for theft like this! I believe it’s someone I’ve already contacted, so I will have to try again. If you’d like to comment on it that it’s a stolen image, perhaps the person who is using it might get embarrassed and take it down? Yes, thanks so much for letting me know though. For some reason, that pic in particular has been stolen so often! If you happen to see it on FB or Instagram, will you flag it as inappropriate so at least maybe they have to revise the ad? Thanks for looking out for me. I appreciate you! 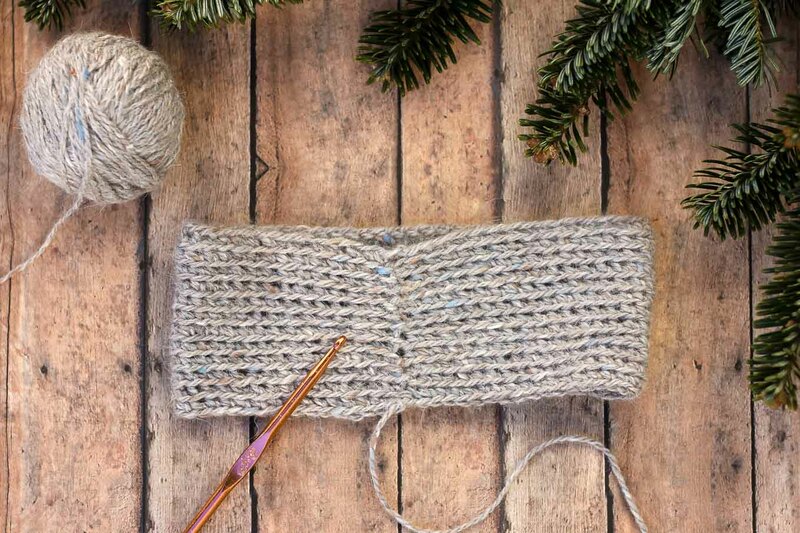 Hi, I love the headband 🙂 just wondering if when finishing a row and slip stitching, do you do the slip stitch in the chain one from the previous round? Had to frog it all twice and just wondering what I am doing wrong. Thank you! That’s a great question. You join with a sl st into the first sc of round. I just updated the pattern to be clearer. Thanks for asking for clarification. I’m sure your question will help others! Yay! I’m so glad it’s been helpful. And WOW–10 headbands?!? You are amazing! I cant always have my computer in front o me Is there a way to print this pattern? I just went to visit my 9-month old granddaughter and had time on the train to make her a headband from your pattern. I crocheted a flower in place of the button because that’s all I had at the time. The headband turned out so cute! Thank you for sharing your pattern! Hi I love this pattern but I’m a little confused cause I’m new to crochet and struggle a little with reading patterns still. My question is when you blsc and you get to the end do you sl st into the back loops only or in both loops? My daughter really wants me to make this for her gymnastics teacher. Thanks so much. That’s a fantastic question. I went through both loops to sl st because just going through one can make things get a little loosey goosey and stretch out. Hello, i would like to say i love this pattern. I used a j hook 6 mm. Strechy going out but the main row of chains is verry tight is that suupose to happen? I read thru your comments didnt see any thing similiar. I will try to go up a size, as of the yarn i am sure its worsted weight i thru the label so i cant reference back. If you can respond soon. Also theres no turn over once done with a row. Just continue working in rounds? Sounds like the yarn you’re using might be slightly heavier than I used. I would do what you said and try a larger hook. If you find that the overall headband it too loose for your head, just decrease your total number of chains at the beginning. Hope that helps! I am having alot of trouble with my foundation chain (for an adult size) twisting on me. I have torn out my first row of sc about 5 times, started a whole new chain and it’s still twisting on me. Any advice? Yeah, chains can be a bit of a pain in the neck! One thing you could try is a foundation single crochet row which basically combines the ch and the first row of sc. 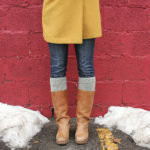 (And most importantly, creates a first row that isn’t curly! 🙂 Just google a few video tutorials. It took me watch a few different people explain it before it clicked with me. Then, you’d just sl st to join the foundation row and move round 2 (doing blsc). I’m confused as to how long to make the starting chain. Do I just chain till it measures the length I want that’s listed under “headband size” in your chart? Then join? Thanks for any help! I’m wanting to make an adult one,, and a toddler one and don’t know the exact head circumference of either person. Yes, that’s exactly what I’d do. I think if you follow the suggested measurements, you should end up with a headband that accommodates the toddler and adult’s heads even if you don’t know their exact head sizes. The headbands are also a little stretchy. My seam in the back is not running straight up and down. What am I doing wrong? Cute pattern. Did you know there are a bunch of shops on Amazon and Alibaba using your baby in the headband photo to sell their headbands. A facebook page called put up a link to one of them because they were so inexpensive. I hope they are paying you something for the use, but doubted it. Thanks so much for letting me know. I have, unfortunately, seen some of this going on. I alway try to squash it when it comes up, but I can hardly keep up with how many people have stolen these headband photos. It’s a really crummy side of the internet. Thank you so much for looking out for me. If you ever see the photos being used and want to send me a screengrab, you can do so at jess (at) makeanddocrew (dot) com. 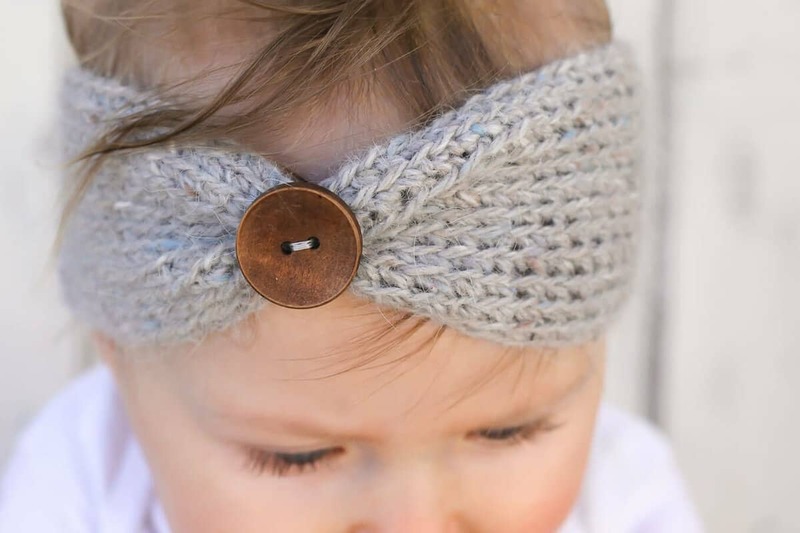 https://www.amazon.com/Headbands-Newborns-Toddlers-Knitting-Headwrap/dp/B01LMY9DP0/ref=sr_1_14?ie=UTF8&qid=1486941194&sr=8-14&keywords=baby+headbands Here is one that stole your photo. A bunch have taken it to use on Amazon. Thanks so much for letting me know. This photo seems to get stolen a lot. I appreciate you looking out for me! I will try to track these guys down. Great project! I’ve made two so far and I’m so pleased with them. The sizig chart is a great help!! Also, next time, before you post pics of your project, make sure your name or your site name or some other identifying information is on the photo. People are less apt to steal it. I’m so happy to hear you’re enjoying the pattern. At the end of each round, you slst into the first st of the previous round and then ch1. Does that ch1 count as the first sc in the next round (in which case I’d start my sc in the second st of the previous round), or do I sc in the very first st of the previous round (the one I did my slst in)? Great question! You sc into the same stitch you sl st into. Then when you get to the end of the round, sc in the last sc, but just skip over the sl st from the previous round. Then sl st into the first sc of the round you’re working on. I appreciate the free patterns that are shared cause I love to crochet and I can’t afford to purchase them to often so I want to THANK you so much for sharing. Right now I am crocheting baby things. Again! THANKS for sharing. I’m so glad you’re enjoying them, Jerri. It’s my pleasure. I thought the picture looked familiar… I think your baby picture got stolen again. Thank you so much. This photo has sure made it’s way around the internet. Thank you for letting me know! First thanks for the great pattern. It’s really nice to make. 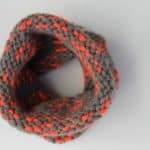 I’m putting together a blog about different headbands and I would like to use one photo and the link of this pattern, if that is oke. Thank you for sharing the pattern! So cute! Do you happen to have the width of the headband for the baby sizes? I’m afraid I would make it too wide. Thank you!